A shipping firm has been forced to pay a fine of almost one hundred thousand pounds after it was found guilty of sea pollution. An investigation by the Maritime and Coastguard Agency revealed that Pretty Time Shipping had illegally discharged two tons of palm oil into the sea. The yellow lumps washed up on the beaches in East and West Wittering, in Sussex and the shore in Hayling Island, in Hampshire. The shipping company, based in Singapore, will now have to fork out £95,000 after Southampton Magistrates’ Court heard that tests showed the cargo was linked to the tanker. The firm denies making an illegal discharge into the sea but was fined £20,000 and ordered to pay £75,000 costs. The waxy yellow lumps of palm oil that were washed ashore in January this year were found to have low toxicity but the beaches had to be closed for three days to undertake a thorough clean-up. It is reported that the ship had been having problems cleaning its tanks and pipes after discharging the cargo in Holland and Germany. Prosecutor Wilmott told the court that lumps of the palm oil were found by investigators on board the ship a few days later. A statement from Parakou Ship Management, Pretty Time’s parent company, said the incident was a one-off and they had a zero-tolerance policy towards pollution. Robinsons International operates in an environmentally friendly way; so whether it is commercial, office, or home removals you require, or Robinsons overseas removals, we specialise in an ecological way. As an international shipping company, we share the concerns in protecting our environment and making a concerted effort in applying it to all activities without jeopardizing security or costs. Therefore, we commit to the protection of the environment and prevention of pollution and to comply with all applicable legal requirements in relation to environmental management. 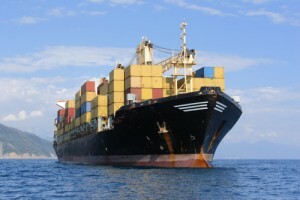 Solar Power set to help shipping go Green?